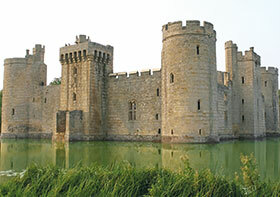 The concept of setting up security in layers is not new, it has been one of the integral aspects of security since castles had moats with a drawbridge as the only entrance. The idea that layers are necessary came about as people realised that one layer is never enough. No matter how secure you think a particular layer is, there is always someone who will figure out a way past it, which is why we need other layers to deter them from further incursion. In the residential estate environment, the perimeter is normally the first layer of security designed to keep people safe. In reality, there should be an external layer made up of community safety efforts and law enforcement, but this is often a missing link in the local environment. Today an electric fence is seen as a standard accessory for the perimeter, and many will say this isn’t even enough. Over the years, technology has improved the ability to protect the perimeter and Hi-Tech Security Solutions asked a few experts how today’s estate can more effectively protect itself. Maurice Williamson, CEO, Stafix Electric Fence Centre confirms that conventional walls and fences provide a physical barrier to would-be intruders and that they may in fact even deflect some, but a determined intrude will ultimately scale a wall or cut his way through the fence. To deal with this, walls can be built higher and have obstructions along the top of them (broken glass, spikes etc.) and fences may be barbed, but ultimately, on their own, they can both be breached with no warning given to those inside. Williamson also warns that these measures could also cause physical injury to an intruder and, as strange as it seems, this may lead to expensive litigation. Like every system, electric fencing has its detractors and its weaknesses. They can be shorted out, cut or bridged, but as criminals have become smarter, so too have electric fences. He explains that modern fences can detect cuts, shorts or heavy loading by monitoring the voltage or amperage along the fence line, and now even a change in resistance on the fence line can be detected, making bridging all that more difficult. When addressing perimeter fencing, Cliff Rose, MD of Modular Communications says physical fencing technology has seen enormous change over the past five years. The market has seen an increase in the use of welded mesh panel products which are marketed as ‘high security’ fencing options. It’s not only fencing technologies that have advanced. Today there are other technologies that complement these solutions, adding additional security to the boundary. “We have seen the emergence of thermal imaging cameras in this area as the technology has become more affordable for such applications,” notes David Montague, EMEA sales director for security at FLIR Systems. “Thermal offers several key advantages for perimeter security. You can achieve detection of an intruder in the day and at night, and in most weather conditions. They can theoretically detect a man up to 20 km, but all lens options provide extended detection distances in comparison to visual cameras. This also means the installation cost can be considerably less than other solutions as fewer cameras are needed. Another adherent to the idea of having cameras as a critical component of your perimeter security is Charles Harrison, MD of Secu-Exports. Harrison calls this wide-area situational awareness as it helps security operatives not only detect a breach of the perimeter, but provides the ability to track the target as they move around. Not only are perimeters long, especially in the larger estates, but securing them is expensive – simply consider the costs of erecting a wire-mesh fence over a few kilometres. However, the question of costs comes down to the value estate management places on its occupants and their security. “Electric fencing pricing can be tailored to fit an estate’s budget, starting with a simple high voltage single zone, single sector monitored fence going right through to sophisticated multi zone, multi sector installations. In general, electric security fences are very economical and effective,” says Williamson. Rose adds that AcoustAlert is also an option as it is a versatile product and has applications on various types of fences and walls, as well as below the fence line to detect under-digging. For larger perimeters (greater than 600 metres), multiple field processors are required around the perimeter and these need to communicate alarm conditions back to the central or off-site control room. However, if the estate also has surveillance cameras around the perimeter, it could include the AcoustAlert field processors and sensor cable onto the perimeter fence, or the estate can integrate the CCTV onto the AcoustAlert LAN. Adding to the cost benefits one can derive from thermals, Harrison says Secu-Export’s systems can be solar powered and run independently of your power infrastructure, and a wireless data link can be used if there is no fibre optic cabling. He adds that the software can be integrated into “just about any existing VMS backbone”. Secu-Exports can also offer a rent-to-buy option. Montague agrees, noting that Flir is seeing “a significant uptake in the detection and tracking”. He suggests using a fixed thermal camera to view down a fence line that hands off to a PTZ multi-sensor system when a person breaches the boundary line, which will then track the target. Rose adds that while AcoustAlert is primarily a detection system used on the perimeter for the specific purpose of early warning, CCTV cameras should be used to track intruders, firstly at the point of intrusion (which is identified by AcoustAlert) and then to see where they may have gone. Existing estates have the advantage, or some may say the disadvantage of having some form of perimeter security in place. This will play a strategic role in deciding how to further enhance their perimeter security, either by adding or enhancing the current installation. In greenfields (new) projects, those responsible for security can look at all the options and decide on what the best solution is to start with, and plan to enhance this over time. When it comes to new projects, Williamson advises starting with a multi strand, multi zone, multi sectored monitored electric security fence, which can be added to a well-constructed wall or mesh type fence. Furthermore, he suggests this should be integrated via a JVA Perimeter Patrol system to the camera surveillance system, all of which is monitored in the guard house as well as at the monitoring security company’s headquarters. After the physical fence is in place, Montague says you can plan for thermal security. Flir offers a design tool at www.flir.com/security/content/?id=74677 (short URL: securitysa.com/*flir17a) where one can upload a site location and set out the cameras. Following that, the estate can consider the analytics that will produce the best results, whether resident on the camera or remotely. “Following this you would need to think about the video management system where there are many options to consider. 1. A high security mesh panel fence system of at least 2.4 metres high. 2. A concrete under-dig which includes an AcoustAlert detection cable. 3. A five or six strand electric fence above the 2.4 metre fence, split into manageable detection zones. 4. AcoustAlert as your fence detection to protect the mesh panel fence and to be your early warning for intrusion or interference on the fence line. 5. Fixed thermal CCTV cameras to verify and validate any alarms. 6. Lighting that switches on in vicinity of the violated detection zone. 7. Audible warning via a distributed speaker system to give a verbal warning to intruders. 2. How quickly can the threat be neutralised. • Flir Systems, www.flir.com or refer to the www.hsbd.co.za for SA distributors.